View cart “I Do What I Do” has been added to your cart. There was once upon a time a little girl who stood on the cloth covered couch while her Grandmother made currant cake and lamb chops with homemade mint jelly (it was pretty green!). She loved to sing for her Grandma and her Grandma loved to hear her. Over and over Grandma would say, “Sing it again just for me.” And she would. And that little girl has been making music ever since! Music does that for us all! It makes everybody… the little girl, the little boy, the child in all of us… want to sing, want to make music. It requires that we see the best in all things. It makes us feel good about ourselves. It colorizes our world. 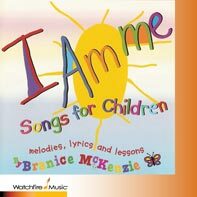 Ms. McKenzie released her first children’s CD, I Am Me: Melodies, Lyrics and Lessons, to rave reviews from children of all ages! A second grade student from P.S. 38, Brooklyn, NY put it best, “When she sings, I love me”. Branice McKenzie’s career includes everything from jazz to theater to prolific songwriting. Some of her credits include critically acclaimed performances at the Newport Jazz Festival, The Clifford Brown Jazz Festival and The Umbria Jazz Festival. 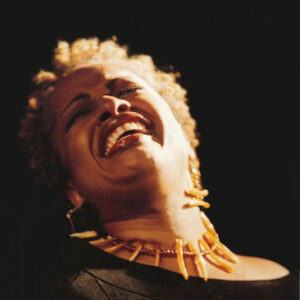 On the theatrical stage she has created roles in “Shades Of Harlem”, “Sing Sister Sing” and “Jazz Alley”. As a composer and music director, she has penned music for “Shelter”, “Shades Of Harlem” and “Blackbirds Of Courage” as well as her latest work, “This World Is Mine: A Musical Revue for Children”. She is a recipient of the Meet The Composer grant from New York State and also made her directorial debut with the World Premier of the family musical “Celebrate Kwanzaa” at the New Jersey Performing Arts Center. Branice has also just completed a song for the film short, Gentelle’s Wings entitled, I Fly, which is the title song of her recently released CD. Her incredible four-octave voice and magnificent song stylings have been hailed throughout the world. She has toured with Harry Belafonte (1984 – 1993), Gregory Hines (1987 – 2003), Roberta Flack, Hugh Masekela, Carly Simon, BeBe Winans, Dianne Reeves, Peggy Lee and Miriam Makeba to name a few and is performing all over the United States, Europe, Africa and Asia. Ms. McKenzie was invited to Russia to perform at Moscow’s premier jazz club, Le Club and with Jazz Symphonic Strings at the historic Tchaikovsky Hall. A Royal Command performance in Morocco colors her performance palette as well as just completing a second successful run as an original cast member of the critically acclaimed “I Can’t Stop Loving You – the Music of Ray Charles in Lyons, France. She also was the conductor of the Youth Chorale for the West Coast premier of INDABA written by and performed with Sweet Honey In The Rock. Her Youth Choir garnered stellar praise from all fronts for their performance at Zellerbach Hall, Berkeley, CA. Most recently Branice was invited to co-host the premier event of the season, Oprah Celebrates Susan Taylor – 37 Years at Essence magazine. She can be heard on numerous jingles and recordings including Hugh Masekela’s “Uptownship” singing the heralded single, “If You Don’t Know Me By Now”, Grammy- nominated “Loves Drum Passion” by Olatunji and the single “Maybe Next Year” with Onaje Allan Gumbs on his latest CD, “Remember Their Innocence”. McKenzie has a ...voice which could rival any singer. 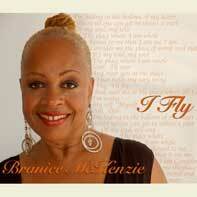 With her voice and her way, Branice McKenzie interprets, communicates and entertains - holding nothing back. I'm a fan! Sharing an artistic experience with others is part of the joy of art. 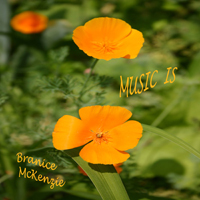 When someone with a gift of talent like Branice McKenzie becomes one of those experiences, it becomes the reaffirmation of the goodness of art as an instrument of love and communication. I have not only enjoyed her talent, I have been inspired by it. Branice McKenzie [is a] ... top notch cabaret singer.